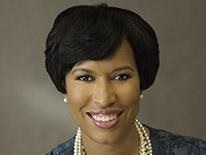 (Washington, DC) \— (RealEstateRama) — On Friday, March 29, at 3 pm, Mayor Muriel Bowser will break ground on The Brooks and Vale Buildings at the Parks at Walter Reed, located at the southwest corner of Georgia Avenue and Aspen Street, NW. The buildings are the first new construction on the historic campus and will include 301 apartments, including 30 affordable units and 89 condos, as well as more than 18,000 square feet of new retail along Georgia Avenue. Press interested in attending the event are asked to RSVP to press@dc.gov. All reporters and other media interested in attending the event are asked to RSVP to press@dc.gov . To view the event online, visit mayor.dc.gov/live or tune in on Channel 16 (DCN).